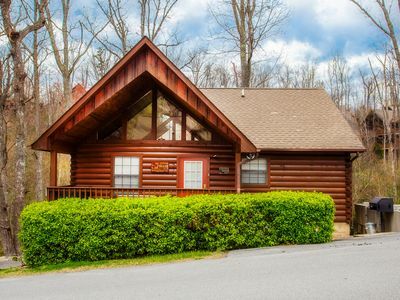 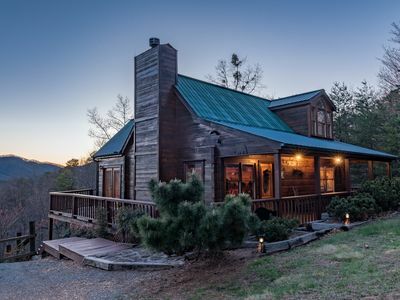 A comfy, airy and spacious log cabin with the decks opening to "Unforgettable Mountain Views" of the Smoky Mountain; sits atop of Pine Mountain providing privacy and Views, Views and just spectacular Views!! 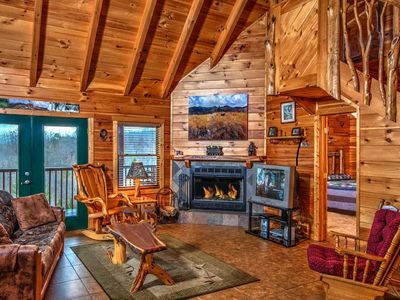 Yes, if you want to escape from the busy routine into God's own Vista Point, this cabin is exactly what you are looking for. 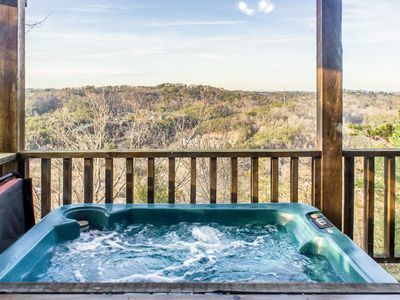 Admire the gorgeous fall colors on the tree tops, the beautiful bright summer evenings with a crisp sunset in the clear skies, rise up to the chirpy spring mornings with lush greenery or enjoy the glittery snowflakes sipping some hot chocolate in the hot-tub. 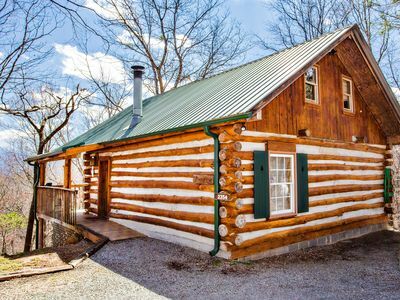 The cabin offers panoramic views of the mountain all year round unobstructed by power lines or other cabins. 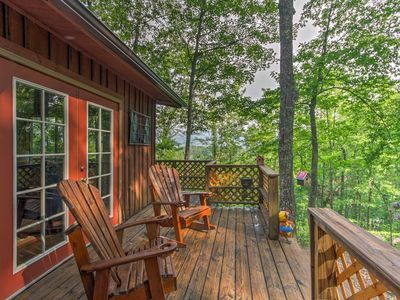 You will fall in love with the peaceful and picturesque vibes. 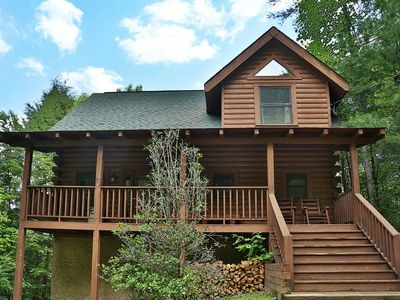 The Cabin boasts 2 levels. 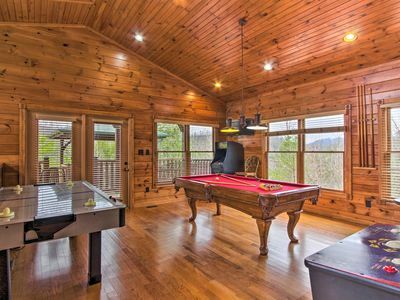 The upper level opens up to Living area (with pull out sofa, electric fireplace and a 42in HDTV. 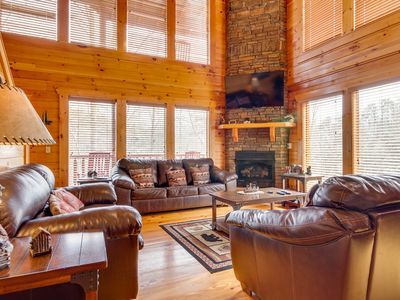 We use DirecTV with DVR for your enjoyment), a fully equipped kitchen (including basic appliances, waffle maker and slow cooker), the Master Bedroom (with Jacuzzi, king size pillow top bed, 32in HDTV, full bathroom and a door to the deck) and the picturesque upper level deck (with large hot tub, string lights, a pair of rocking chairs and additional seating area). 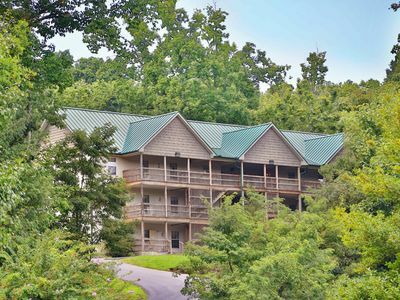 The second level opens up into a large game room (pool table, fooseball, music system with Bluetooth capability, board games, etc), 2 bedrooms (with king beds, 32in HDTV and closet), a full bathroom, full size washer and dryer and the picturesque lower deck (with porch swing and additional seating area). 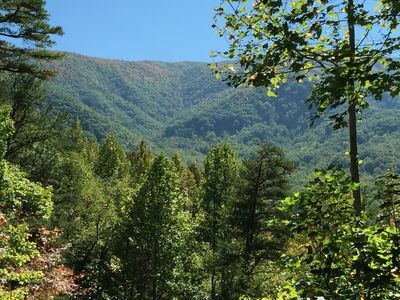 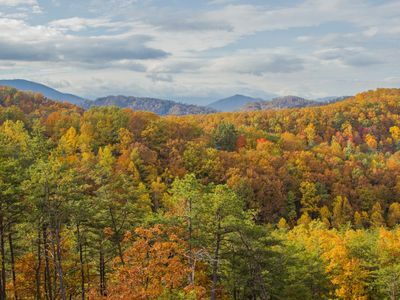 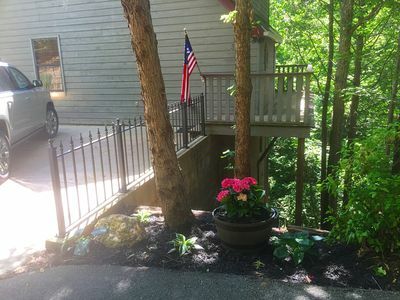 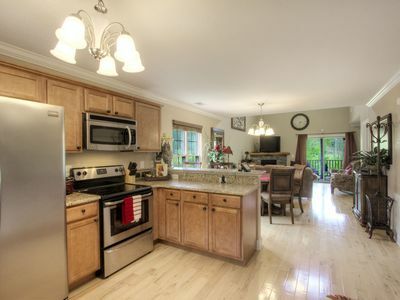 Cabin Located Within The Heart Of The Smokies*Grill*AC*Free WiFi*Hot Tub*Pool. 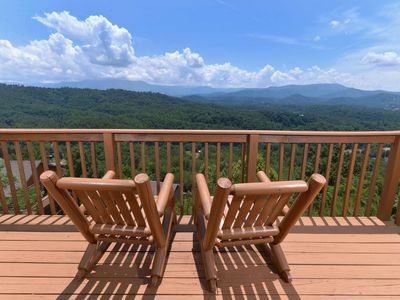 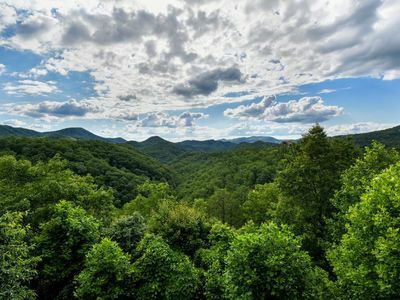 Amazing View is a two bedroom log cabin near Dollywood. 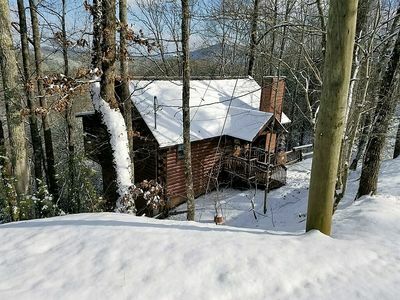 3 Bedroom Mountain Top Pet Friendly cabin with breathtaking views. 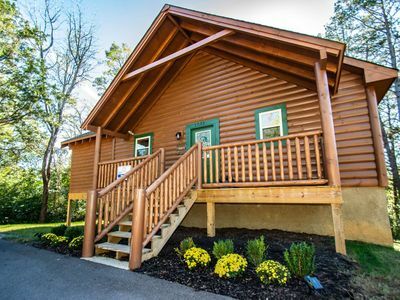 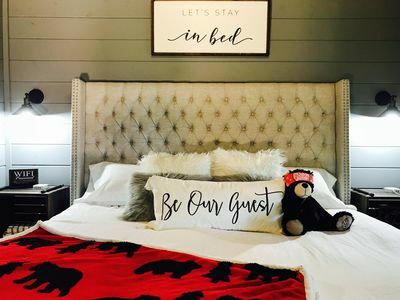 "Pooh Bear" Newlyweds and Couple's getaways,$285.77 in free area attractions Tickets per paid Night. 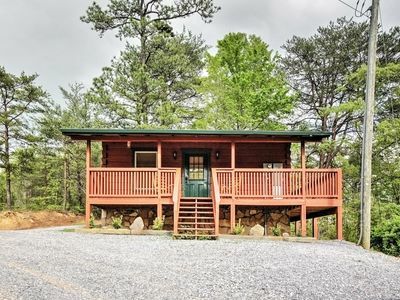 Mountain views, secluded setting. 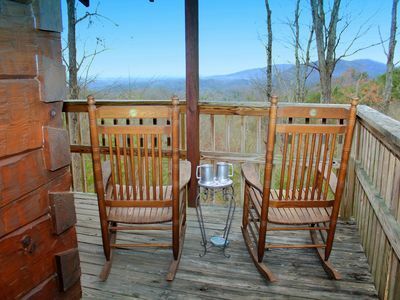 Two Owls and a View.